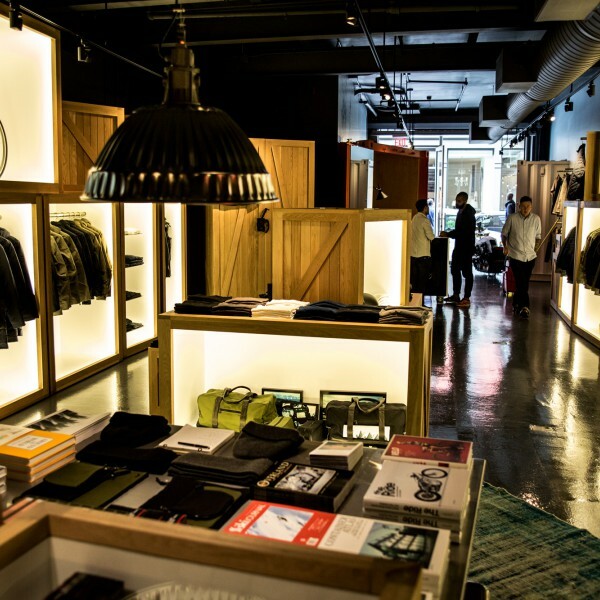 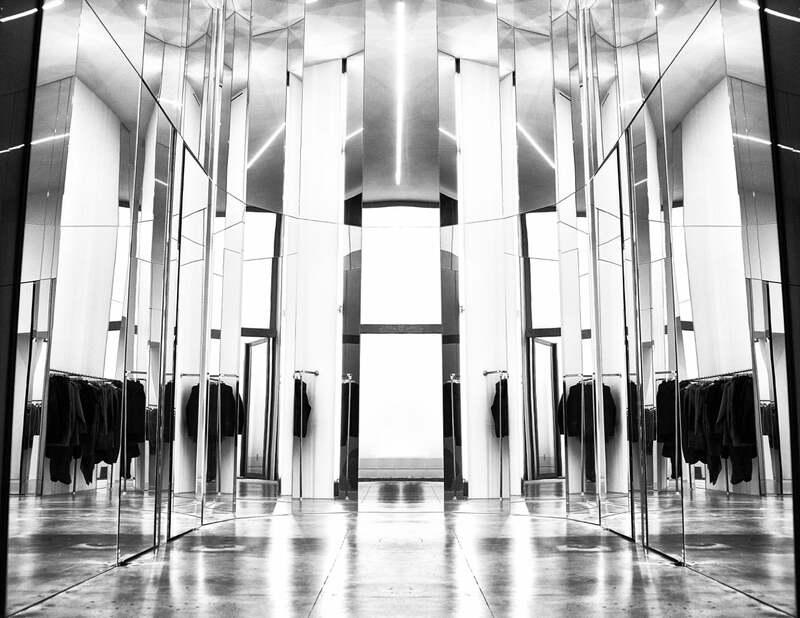 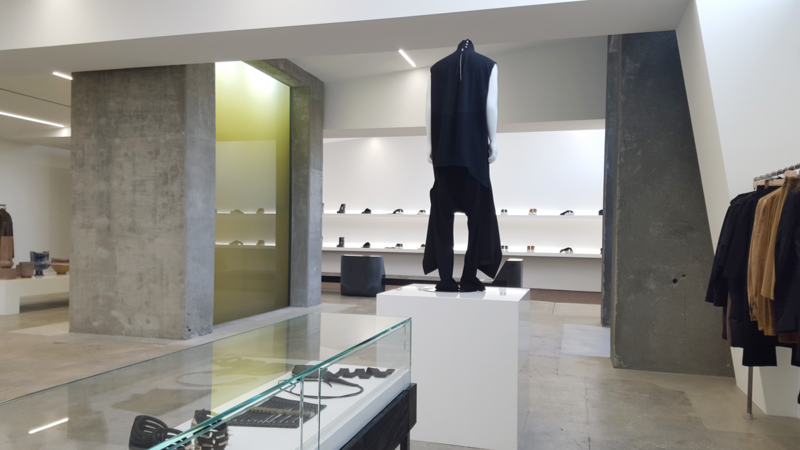 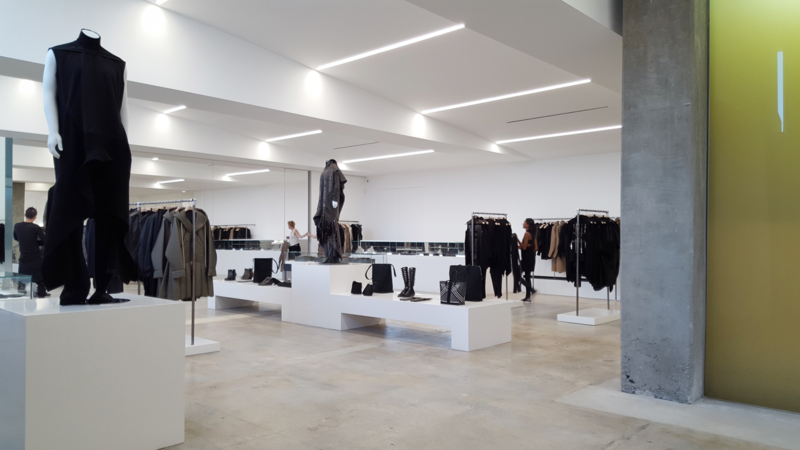 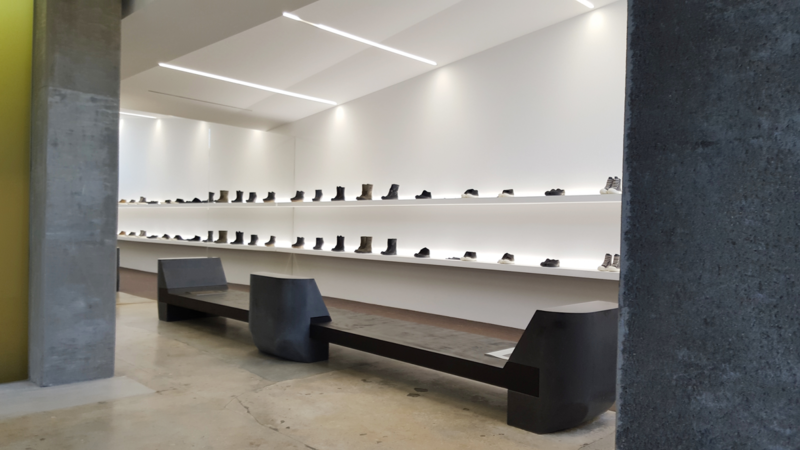 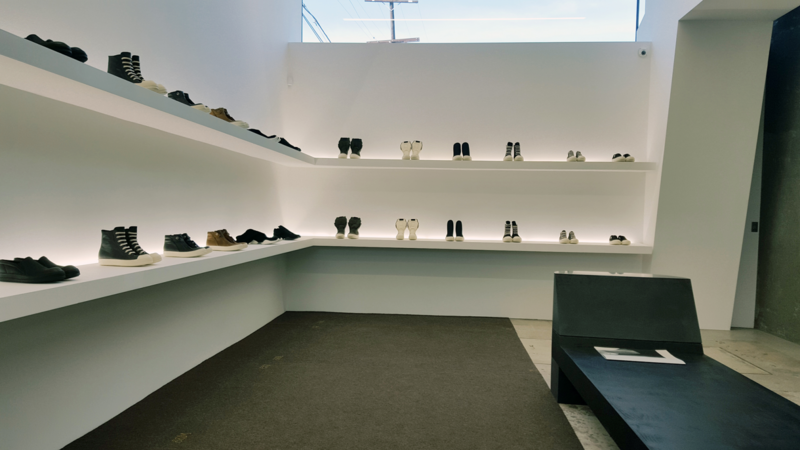 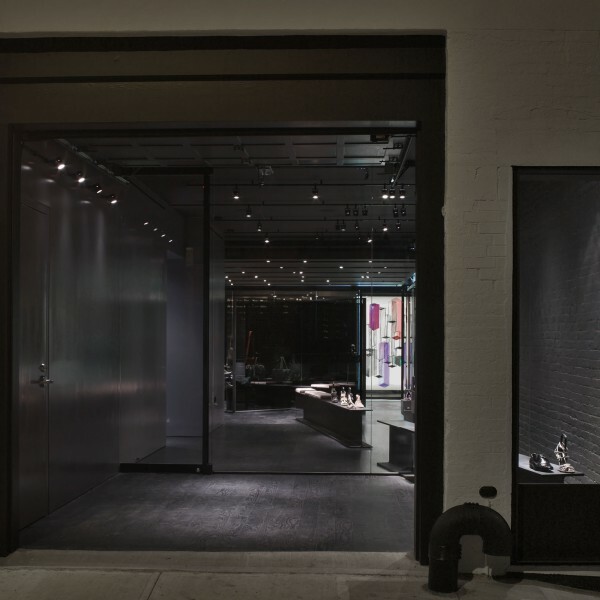 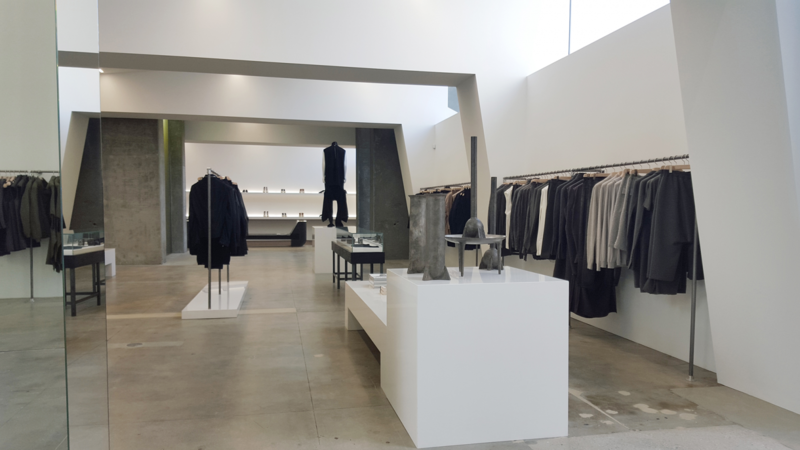 Illuminating this monochrome Flagship store in the heart of LA, drenched in California sunshine by day brought numerous challenges to providing a luminous environment that helped express the unique architecture in addition to displaying the couture clothing and accessories. 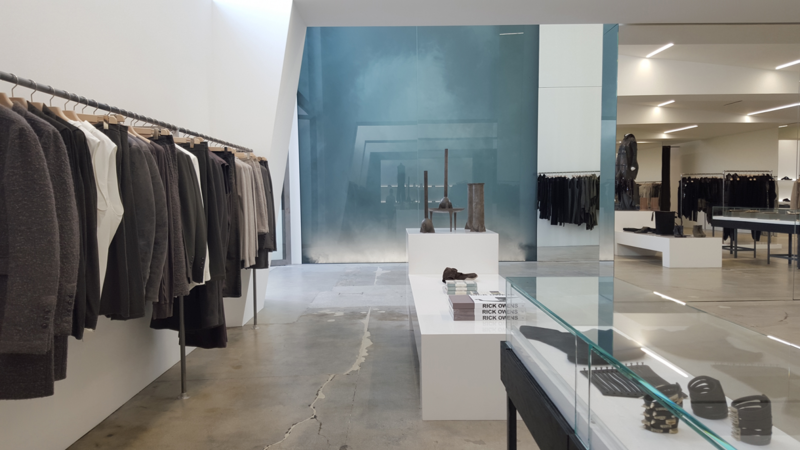 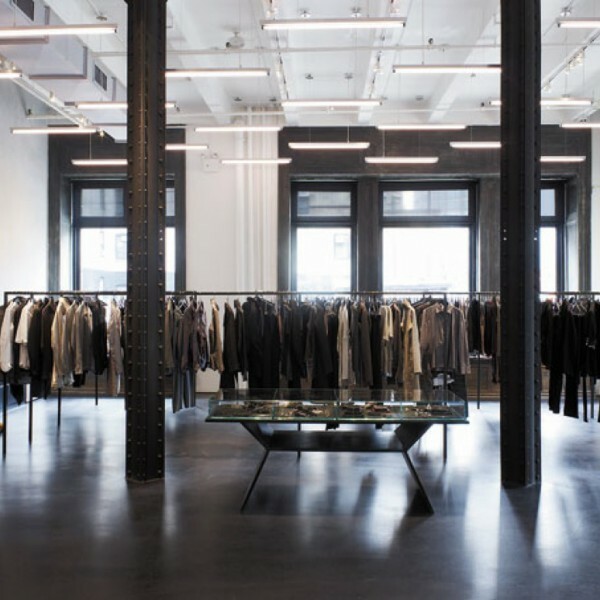 Consistent with all Rick Owens stores, whimsical artistic elements reflect the iconic fashion labels' creativity. 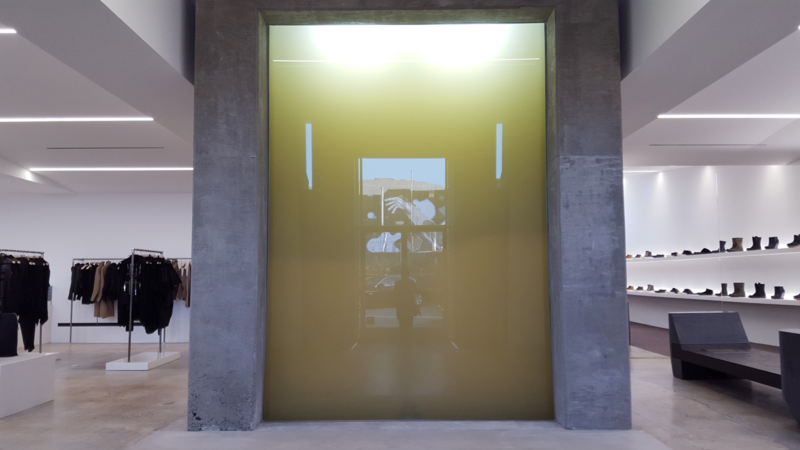 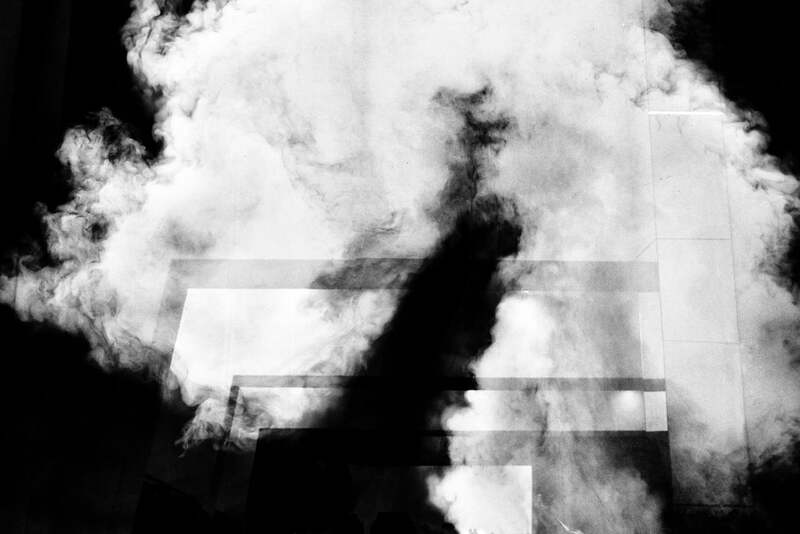 In this case, a fog wall and oil wall required special lighting attention and expertise.